WELL MAINTAINED bi-level in desirable Pleasant Prairie located NEAR SHERIDAN ROAD with easy access to Illinois. OPEN CONCEPT 3 bedroom, 3 bathroom home with partially finished basement. Large eat-in kitchen with island and SLIDING PATIO DOOR that leads to ELEVATED DECK. Main level features 3 bedrooms, 2 full baths, OPEN KITCHEN AND LIVING ROOM. Spacious lower level provides THIRD FULL BATHROOM, storage/utility room, and LARGE FINISHED REC ROOM. 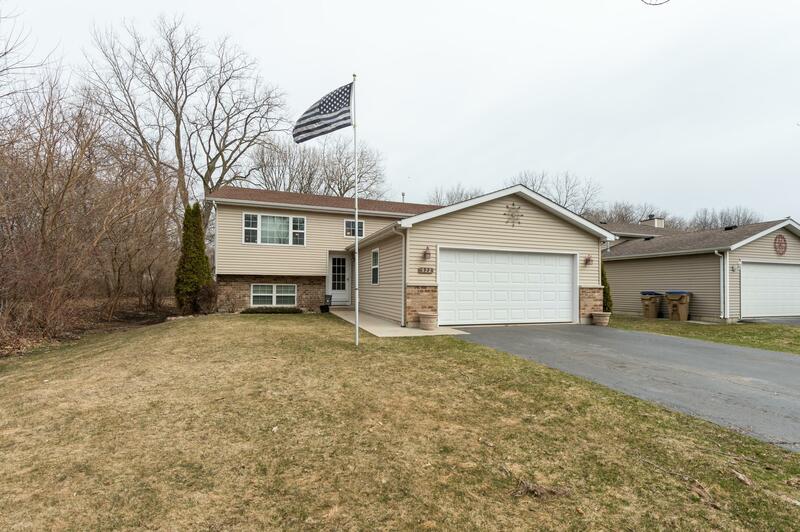 Drywalled and insulated 2 CAR ATTACHED GARAGE and central air complete this home. Mature landscaping throughout level backyard which BORDERS CONSERVANCY. This home has been meticulously cared for and shows like new. All appliances included. LOW PLEASANT PRAIRIE TAXES.